enjoyed in our traditional village pub in Cumbria. With the Pennines to the east and the Lake District Fells to the west, the beautiful Eden Valley around the River Eden is a mix of lush green countryside, traditional towns and attractive sandstone villages -some dating back to Viking times. 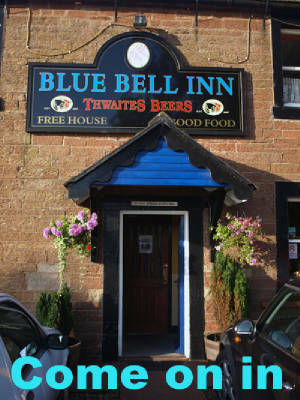 The Blue Bell Inn nestles in this outstanding area of natural beauty and is regularly visited by locals from the surrounding villages and is popular with holiday makers, walkers, ramblers, and families who are visiting or staying in the area. this is the one to visit. 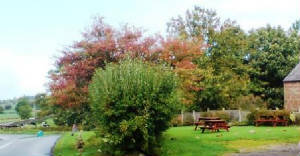 All the food is freshly prepared by Jayne, who is a very experienced chef, and the local ales are pulled by Malcolm at the small but nostalgic bar.